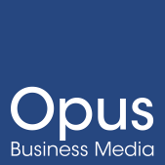 Based in the heart of Cheshire, Opus Business Media is one of the UK’s foremost publishers of digital B2B magazines. In an age where print is in decline, we’ve created a unique digital format that allows our readers to enjoy our publications anytime, anywhere. Aside from our growing portfolio of digital titles, Opus also publishes associated yearbooks and exhibition guides, as well as organising industry exhibitions. With key personnel offering over 100 years’ experience within publishing, exhibitions and conferencing, Opus combines a mix of media know-how along with young and enthusiastic professionals to ensure that we stay at the forefront of digital publishing. Our titles are all available to read online, or on iOS or Android devices, and all printed publications are published on recycled paper, so as to preserve our environment. If you wish to unsubscribe from any of our mailing lists please click here and state the email address you wish to remove.